Single-story homes are the most practical housing solution for people with mobility issues, but not every person can afford to purchase a new home. Indeed, not everyone wants to purchase a new home. If you’ve lived in your current home since before your children were born or the house has been in your family for generations, then why should you have to give up that history and those memories? 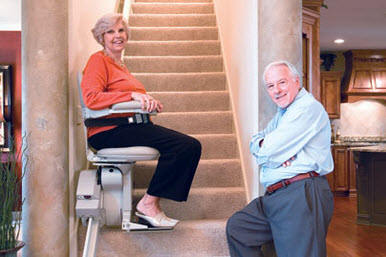 Renting a chair lift can allow you to stay in your current home without sacrificing your independence and mobility. Very few middle-class, suburban homes have enough space to accommodate the construction of an elevator. In addition, very few people have the kind of financial resources required to undertake such a massive construction project. A stair lift is a much more affordable and practical option because you can either rent one or buy one, and any alterations that must be made to your home will be minor. If you’re planning to move in the next few years, then renting a chair lift is a great idea. That way, you won’t have to pay for the full cost of the system, but you also won’t have to sacrifice your mobility as you wait. If you’re interested in renting a stairway lift, then you should consult with Williams Lift Company of Plainfield, NJ. Williams Lift Company provides wheelchair lifts and handicap ramps, among other home mobility products. For more information, call us at (908) 756-7074 today.